Thus far CMBS has had a storming year and all current indicators point towards 2018 being a bumper year for the product. After two years of relative malaise on the primary issuance front, the first half of 2018 has proven to be anything but sluggish. Notable transactions that have so far taken place include Citibank and Morgan Stanley ‎closing an extremely well priced transaction secured by Finnish assets (a CMBS 2.0 first), Bank of America Merrill Lynch achieving some hugely impressive pricing on an Italian CMBS and most recently the spotlight has turned to Goldman Sachs who have recently obtained excellent pricing on a £427m CMBS secured by a portfolio of UK hotels. The market though has not simply been confined to conduit deals as demonstrated by the fact that Blackstone successfully closed CMBS Pietra Nera Uno (which is apparently the first of a swathe of Agency CMBS deals that Blackstone are expected to bring to the market) and the recent market rumours that Natwest are currently in the midst of structuring a synthetic CMBS. Taken together all these transactions provide the firmest indicator yet that that the beleaguered CMBS product is firmly back in vogue. In our view, the inflection point for the latest surge in activity can be said to stem from BAML’s hugely successful Taurus 2017-2 UK and Taurus 2017-1 IT transactions which closed at the end of 2017. Not only did these deals breathe fresh life into an otherwise sanguine market but the pricing achieved provided market participants with a very stark reminder that with the requisite macro-economic conditions and a healthy dose of investor demand, ‎then CMBS can really be the ticket. The recent spate of deals not only re-affirm and endorse this message, but in fact positively demonstrate that CMBS not only has a role in financing European commercial real estate but the fact, that it can be extremely profitable for those market participants (borrowers, arrangers and fixed income investors alike) that wish to embrace this technology. The great news about this recent surge in activity, is not only the fact that a number of different arrangers are sitting behind these issuances but also the fact that these transactions feature different underlying asset types from a range of different jurisdictions. However from our standpoint what is most encouraging about this recent spate of activity, is the fact that European CMBS is making this resurgence notwithstanding the bout of European legislation that has penalised the product. Although at times we have considered this penal legislation potentially fatal (CMBS – the little match girl of European ABS) fortunately market activity has proven that this is simply not the case. For the erstwhile industry participant, this is not the first time that we have had the pleasure of riding a CMBS 2.0 wave, indeed 2015 was proving to be an extremely prosperous year until the summer when the threat of Grexit followed by the Chinese financial crisis brought primary issuance to an unexpected crashing halt. Although a sobering thought that the market will only be too aware, nevertheless it is our hope that arrangers continue to “make hay while the sun is shining”. Who knows, barring another macro-economic shock, then 2018 may not only be regarded as a truly momentous year for the product, but also go down as the year that CMBS rightfully re-established itself as an important financing tool for European commercial real estate. Rather like the Hans Christian Anderson story about the little match girl, the news that BAML has successfully launched two CMBS deals in quick succession has flickered light into an otherwise cold and beleaguered primary issuance market. Not only do these transactions provide a clear indicator that there is still life in the market, but this news is the most positive development for the industry since the summer of 2015, when adverse macro-economic factors precipitated by concerns over Grexit and the Chinese financial crisis shut down primary CMBS issuance. In fact, the successful launch of these deals could not have come at a more opportune moment given that the future of European CMBS currently hangs in the balance following the European legislature’s decree that CMBS will not qualify as a simple, transparent and standardised securitisation under the Securitisation Regulation. More simply put, the European regulators have legislated against the product by adopting a position whereby CMBS will not be afforded the same regulatory capital treatment that will benefit other equivalent securitisation products. bringing about much needed openness and transparency to the commercial real estate lending market. Against this backdrop, the news that BAML have successfully launched Taurus 2017-2 UK and Taurus 2017-1 IT is therefore likely to provide a much needed boost to the industry. Not only do these issuances demonstrate that despite the regulatory headwinds, CMBS can still be done, but also that there is clear appetite for this type of fixed income product. That said, one still cannot help but draw parallels with the Hans Christian Anderson story about the little match girl and more specifically whether these CMBS deals could be said to be the final flickers of light for the product before its untimely demise. Whether this is ultimately true, rests in the hands of the European legislature given they hold the key to its fate however one thing that is certain is that the Securitisation Regulation in its current form does not create a glowing prospect for the future of European CMBS. Earlier this month the Bank of England’s Prudential Regulation Authority (the ‘PRA’) wrote to all UK companies undertaking cross-border activities between the UK and the EU under passporting arrangements, requesting a summary of their Brexit contingency plans. The letter continues the regulator’s focus on ensuring firms have robust measures and business strategies in place to respond to market turbulence. Addressed to the CEO/Branch Manager of each company, the letter states that firms are expected to create concrete contingency plans for a variety of potential scenarios (given the wide range of possible outcomes), in light of the UK Government’s decision to trigger Article 50. This is to ensure the safety and soundness of each company’s UK operation, and to mitigate any risk of adverse financial consequences through effective structural planning e.g. setting up a subsidiary. Interestingly, the PRA stated that although it was aware that many of its firms were well-advanced in their Brexit planning, the adequacy of these plans appeared uneven across companies, with many not being sufficiently tested against the most adverse outcomes. It further stated that the responses submitted by firms would be used to shape the Bank’s own plans. The letter highlights the need for UK companies to face the physical reality of Brexit and it will be interesting to see the types of contingency plans that emerge as a result. The Prime Minister’s decision on Tuesday to call a snap General Election will not make this task any easier, at least in the short term, as the ‘hardness’ or ‘softness’ of Brexit is once again up for grabs. For further information please see a copy of the letter here. The provision of indemnities, particularly those provided to corporate trustees and agents, is an important feature of an effectively functioning structured finance market. It enables the parties involved to allocate the risks of unforeseen expenditure to those parties with the ultimate economic interest in the transaction and allows trustees and agents to keep their fees at a reasonable level. Whilst the need for indemnities is generally accepted, the terms on which they are provided can be an area of robust negotiation. A recent case in the Commercial Court has highlighted the importance of carefully drafted indemnities, in a ruling which focused on the consequences of limiting attorney fees for which a party may recover under an indemnity to “reasonable attorney fees”. In the case, the Claimant, Euro-Asian Oil SA, contended that, as it had a letter of indemnity in place with the Defendant, Credit Suisse AG, it should be entitled to recover its legal costs in connection with a dispute, on an indemnity basis. The Commercial Court however held that the Claimant could only recover its costs on the standard basis, as the letter of indemnity included a limitation as to the recovery of “reasonable attorney fees”. Specifically, the letter of indemnity provided that the Defendant would “protect, indemnify and to hold you [the Claimant] harmless from and against any and all damages, costs and expenses (including reasonable attorney fees) which you [the Claimant] may suffer by reason of the shipping documents…”. Claimant’s counsel argued that the court should give effect to the parties’ contractual agreement regarding attorney’s fees and that the word ‘including’ was expansive and non-restrictive, meaning that, taking this into account with the provision for payment of ‘any and all cost and expenses’, the indemnity should be construed as a contractual basis for indemnity costs to be awarded. 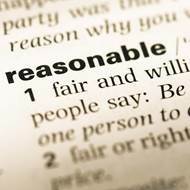 Cranston J. disagreed, first distinguishing this case from the authority relied upon by the Claimant as the indemnity in that case did not include a limitation to “reasonable attorney fees”, and, secondly, concluding that the result of the inclusion of the phrase “reasonable attorney fees” resulted in the contract not providing for indemnity costs “because they would not be reasonable”. Consequently, the Claimant’s contractual right to costs was confined to costs on a standard basis. To grasp the import of this, a brief refresher on costs may be helpful. In general, there are three ways such costs can be recovered. First, following a clear contractual agreement (e.g. indemnity) the indemnifying party shall simply pay fees pursuant to the contract. However, if there is no such agreement or if such an agreement is unclear or the amount is disputed, separate legal proceedings will be required to determine how the costs of the dispute are to be borne. Where costs proceedings are initiated, the court will make its costs order on either the standard basis or on the indemnity basis. When dealing with costs awarded in litigation, there is a presumption that costs will be assessed on the standard basis (the most common approach used by the Courts) and under it a judge will only allow the recovery of costs where they are proportionate, and either reasonably incurred or reasonable in amount. If there is any doubt about either the reasonableness or proportionality, the judge will give the paying party the benefit of that doubt. However, in circumstances where, for example, a party’s conduct during the proceedings is found to have been egregious, the other party may request that the court makes its order for costs using the “indemnity basis”. If the court agrees to make a costs order on this basis, there is no requirement that the costs incurred are proportionate and costs will only not be recoverable if the paying party is able to show that they have been unreasonably incurred or are unreasonable in amount. In deciding any dispute as to the amount of costs payable pursuant to a contractual indemnity, the starting point will usually be that the costs payable under those contractual terms will be presumed to be reasonably incurred and reasonable in amount. This is akin to an award of costs on the indemnity basis and might well result in the indemnified party recovering in full. However, as the decision in the Euro-Asian Oil case emphasises, this is not guaranteed and the precise wording of the indemnity will be important. In the Euro-Asian Oil case, for example, as explained above, the judge found that it would not be appropriate to award indemnity costs pursuant to a contractual indemnity for “reasonable attorney’s fees” because indemnity costs are not “reasonable”. Therefore, the judge decided that the award would be for costs on a standard basis. So, the result of the indemnity including the phrase “(including reasonable attorney fees)” can have significant consequences on the recoverability of costs. If there is a dispute over the amount payable pursuant to an indemnity for “reasonable fees”, the indemnified party might be put to the test of proving that the costs claimed are reasonable and proportionate. This may result in a far smaller recovery than would have been the case if the word “reasonable” had not been in the indemnity. This serves as a reminder of the importance of focussing on the terms of any transaction indemnity and explains indemnified parties’ resistance to the inclusion of reasonableness qualifiers in their indemnities. Credit rating agencies (‘CRAs’) that operate in the EU will be interested to hear that on 30 March 2017, ESMA published an update to its Questions & Answers (Q&A) on the ‘CRA’ Regulation (Regulation 1060/2009, as amended in 2011 and 2013). The CRA Regulation requires CRAs within the EU to be registered and to comply with requirements relating to their independence and avoidance of conflicts of interest, their methodologies, their disclosures and their approach to sovereign debt. It also contains requirements on parties involved in securitisations in respect of the rating of structured finance instruments. Further guidance on Article 10 of the CRA Regulation (covering Disclosure and Presentation of Credit Ratings) has been provided by way of an additional section to the Q&As, which can be found here. The guidance will ensure that CRAs and rated entities are clear as to their roles and responsibilities under this provision by specifically confirming how much time a CRA should provide to a rated entity prior to the publication of a credit rating or rating outlook: 24 hours, at a minimum. It will also protect investors by ensuring the timely publication of credit ratings and rating outlooks “without delay”. This week saw the High Court clash between the swap provider, UBS, and the recently appointed replacement note trustee (Glas Trust Corporation) on the embattled Fairhold Securitisation. The dispute at hand centres on whether or not the ad hoc noteholders group’s fees and expenses (comprising the fees of its financial adviser and lawyers) can be recovered from the waterfall, effectively subordinating payments to the swap providers and noteholders. The financial adviser’s fees were reported to be in excess of £3.75m. Followers of the Fairhold Securitisation saga will be aware of the wider dispute between noteholders and the swap providers, in which noteholders directed the note issuer to rescind the transaction’s swaps, on the basis that the note issuer was induced to enter into the swaps as a result of an alleged fraudulent misrepresentation made by swap providers. Whilst the two day hearing on the advisory fees dispute has now concluded, judgement has been reserved, so a further update will be posted on this blog once judgement has been handed down. The outcome will be particularly relevant for corporate trustees, investors, financial advisers and lawyers advising in the context of capital markets restructurings and disputes. That conclusion was supported by Underhill LJ, who stated “I agree with Arden LJ that the phrase “per annum interest rate”, in the context in which it appears, most naturally reads as a reference to the ordinary interest rate applicable to the Loans and specified in the Offering Circular”.